This book turned out to be not what I was expecting at all. 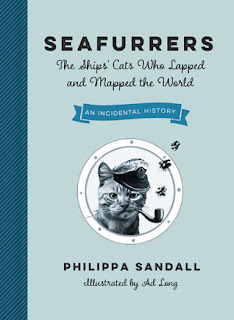 I thought the book was going to be about the exploits of cats belonging to certain ships. It is more about cats in general and their uses aboard a ship. This is not to say that the book was not interesting. You do learn a bit about the reasons cats were brought aboard ships, you learn about the Captains of some ships, and you get a history lesson as well.